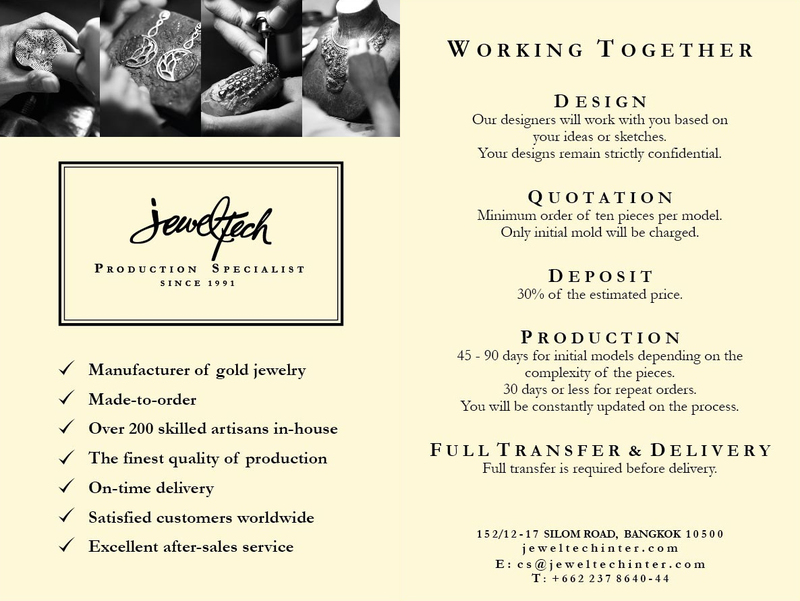 JEWEL TECH OFFERS ONE-STOP SERVICE FOR A COMPLETE LINE OF JEWELRY PRODUCTION. From Design, Wax & Silver Mold Making, Gold Smith & Casting, Stone Selection, Cutting & Setting to Polish & Rhodium. 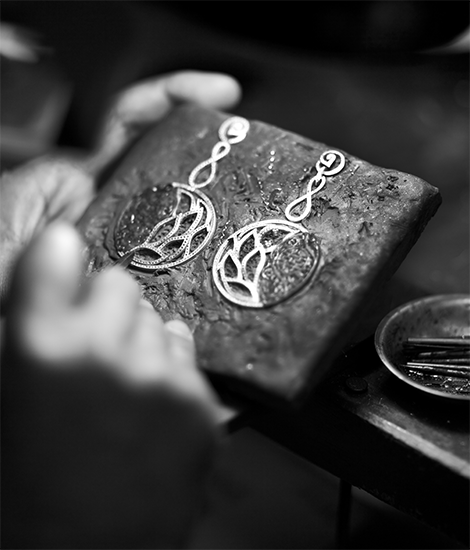 With more than 200 skilled artisans in-house, Jewel Tech is specialized in producing top-quality fine jewelry. The quality of our craftsmanship is our strength, meeting the highest standards of worldwide brands. For wholesalers and retailers, Jewel Tech’s stock offers more than a thousand pieces of 18K gold jewelry with a variety in sizes, styles and budget for your selection. Our in-house designers are continuously researching on the current and upcoming trends to come up with designs that are well-appreciated and marketable. Customers can also request for modification of our pieces, or specify the grade of raw materials used to best suit their markets. Upon request, Laser Engraving service of your brand logo is also provided onto the selected pieces for your brand’s value added purpose. Jewel Tech constantly seeks for innovations to maintain an efficient production line and the most competitive price for our customers. For customers with their own designs, Jewel Tech’s qualified in-house designers will work with you based on your ideas or sketches. Your designs remain strictly confidential. The production will take approximately 45 – 90 days for initial models depending on the complexity of the pieces, and 30 days or less for repeat orders. As your satisfaction is our priority, you would be constantly updated on the process and all models would be adjusted until it suits your best needs. In addition, Jewel Tech also does custom design and manufacture for corporate gift and special occasion souvenir.